The Monday of Holy Week we read Matthew 24: 3-35. 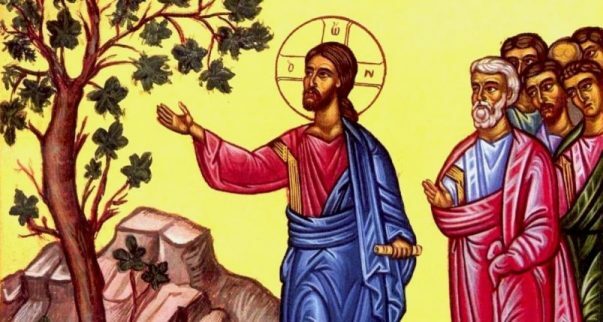 The theme of this Gospel is “the signs of the end of an age” and the Parable of the Fig Tree. Concerning the “end times”, in which Jesus cautions His disciples not to be mislead by false promises about the Messiah, but rather to be encouraged by the promise that there will be clear signs when the Son of Man comes to gather his chosen ones. 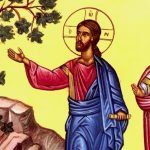 The fig tree was a symbol of us knowing Christ’s return is near when we see certain signs mentioned earlier in this Gospel. Therefore, if we live as if Christ’s coming is tomorrow, then we will strive to be prepared for it.